Patients from and around Oceanside and New York City, New York, as well as, Clifton, New Jersey, visit South Shore Spinal Care for all of their chiropractic needs. 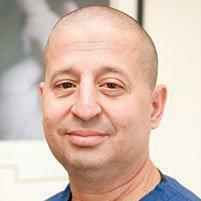 Dr. Glenn Rosenberg offers each patient a chiropractic consultation and evaluation so he can best meet their needs. What is Included in a Chiropractic Consultation? A chiropractic consultation includes a thorough examination by the chiropractor. If the appointment is due to an injury, the doctor may request a set of x-rays to identify any potential injuries that may be present but not visible to the eye. The doctor will ask the patient what their major concerns are and if they have any pain or physical discomfort. During the consultation, the doctor will physical manipulate the body in an attempt to find potential problems. If a person has an injury or illness, the chiropractor will be able to offer an assessment and make adjustments that aid in the healing process. What Structural Abnormalities Will a Chiropractor Look for? During a chiropractic consultation, the doctor will look for any structural abnormalities that may be present. This includes inflammation, disruptions in the soft tissues, strain on connective tissues, and any joints or bones that are not in their original positions. A chiropractor is highly trained when it comes to identifying potential problems within the structure of the body. By using this intricate knowledge of physiology and physical structure, they can identify even the smallest imperfection. Every person has minor fluctuations in their anatomy that make them unique. The chiropractor understands this and works with that knowledge to help their patients maintain the highest level of health possible. Can a Patient ask Questions During a Chiropractic Consultation? During a chiropractic consultation, a patient is encouraged to ask questions. If the chiropractor finds anything they find suspicious or abnormal, they will ask the patient about whether or not they are having any pain. During the consultation, the chiropractor may make movements that may spark the patient's curiosity. The patient must feel at ease enough to ask questions and offer information that will help the chiropractor perform his job to the fullest extent of his ability. The goal of the chiropractor is to create a bond of trust between himself and the patient. This bond is strengthened when the patient feels comfortable enough to ask questions and relay information without being prompted.